The Embassy of Japan and the Japan Foundation hosted their annual Japanese Film Festival at the National Film Corporation Theatre. The festival, which used to occur only sporadically, has emerged as a tradition for the Japanese Embassy. The festival featured a variety of contemporary Japanese cinema from comedy and drama to horror and anime, attracting viewers of all ages and backgrounds. Having established their presence in past years, the fourth consecutive Japanese Film Festival strove to create “a better understanding of Japan among Sri Lankans and deepen their interests in Japanese culture” said Japanese Ambassador, Kenichi Suganuma at the festival’s opening ceremony. 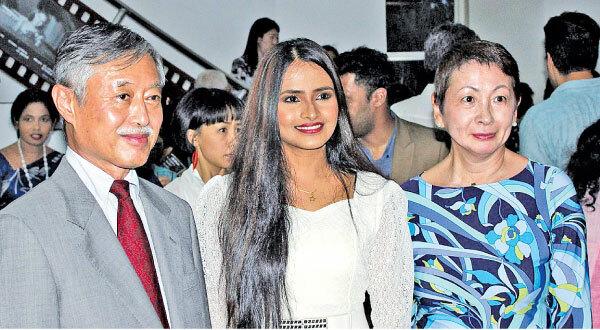 Sri Lankan actress Umali Thillakaratne who studied film at Tokyo’s Ninon University, was the first Sri Lankan actress to land a starring role in a major Japanese film. “We are here today to absorb the life and culture of Japanese people. What makes movies so important and the reason that we watch them is to understand oneself and others,” said Thillakaratne. The embassy kicked off the festival with the comedy, “Golden Orchestra!” about a high school teacher’s struggle to transform an aged and amateur community orchestra into a group of skilful musicians. Japanese Embassy’s Public Relations and Cultural Exchange Affairs Officer, Masaki Takaoka highlighted the Embassy’s cultural outreach programme on Sri Lankan television. For years now, Japanese TV programmes have been telecast on local Sri Lankan TV channels, available in both Sinhalese and Tamil.